The Kellogg Russell Fellows program is fairly new compared to some of the more established Masters in Management programs offered by top schools around the world. As we have noted in an earlier post, US schools (with the exception of Duke Fuqua) are just about waking up now to the possibilities of early career programs, including Master in Management equivalents, and early career MBA programs. The Kellogg Russell Fellows program, along with the Michigan Ross Master of Management, and the Duke MMS, are some of the best non-MBA master’s options for business education. This post looks at a brief overview of the Russell Fellows, and also highlights the success story of a GyanOne client – an Indian applicant who made it to the program in 2016. Kellogg Russell Fellows – is it a great option? While the number of MiM/early career MBA programs is consistently growing, the Kellogg Russell Fellows program (MSMS) stands out by dint of its brand value, placement rate (100% at 3 months, as reported by Kellogg), and course structure. The program is explicitly meant for students with a non-business background (indeed, students from a business undergraduate background are ineligible). Similarly, the program only accepts applications from college seniors in the final year of their undergraduate programs. The program initially had only 2 rounds of admission (with deadlines in October and February), which Kellogg increased to 3 this year (adding an April deadline as well). 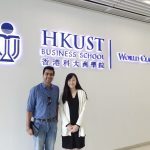 The program itself features only the basics in business education, so it is meant for students who wish to make a career change to the business side, rather than those really looking for an MBA equivalent. However, the courses are supplemented through teaching by the outstanding Kellogg faculty, the Kellogg reputation, and Kellogg’s vaunted Global Initiatives in Management (GIM) program. At a relatively early stage of their career, Kellogg MSMS students will also need greater career support, and Kellogg ensures that through its personalized support structure. 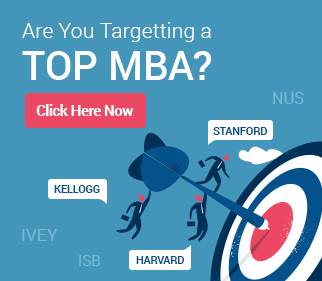 Kellogg, too, recognizes that this program is not really a substitute for an MBA, and this is why it offers Russell Fellows the option to come back later (after working for a few years) for a one-year MBA from Kellogg. The Kellogg Russell Fellows MSMS is therefore ideal for someone who wishes to move to the business side of work, gain strong global exposure and a great brand on his/her resume, and then come back later for an MBA from a top school. For this reason, the MSMS does seem like a great option. Many applicants considering the MSMS at Kellogg are also considering applying to the HBS 2+2 and Yale Silver Scholar programs. While these are certainly not the only options for college seniors, they are by far the most prestigious. It is important to note here that the 2+2 and the Silver Scholars are both different in nature from the MSMS. The MSMS is more basic, while the 2+2 and the Silver Scholars are the actual full-time MBA programs offered by Harvard and Yale respectively. In this respect, therefore, the MSMS is better compared to the Duke MMS and the Michigan Ross Master of Management, which are comparable. That said, the Kellogg Russell Fellows still remains one of the most sought after and most prestigious program for college seniors to consider, and is perhaps the best one in the USA as well. The Kellogg MSMS essays are clearly designed to filter outstanding applicants from the rest through gauging the applicant’s growth and achievement from the past. However, what is important is not just the growth but also the growth mindset. Kellogg is equally interested in understanding the thinking that has led to this growth. This essay should therefore be much more than a roster of achievements and awards. Similarly, the second essay should not just describe a key issue of current business interest but also showcase your perspective on it. How are you acquainted with this issue? Why? What insights have you developed into it that guide your career decisions for the future? Importantly, why is the MSMS well-placed to help you better understand this issue and grow further? Caveat here: the MSMS is not an advanced management program, so stay clear of highlighting topics or areas that the program may not be related to at all. If the MSMS looks at applicants with a non-business background, Vishesh is a great fit. He is an IIT BHU (Varanasi) alumnus, and a biochemical engineering major. That background itself is pretty far removed from a career in business. Yet, it is Vishesh’s drive, his research into the program he applied to, and his hard work that won him a place at the Kellogg MSMS. Vishesh started his application before he even knew about the Kellogg Russell Fellows program. In an initial discussion on the right schools for a master’s, he discussed the available options with GyanOne. The Russell Fellows program was an instant fit, but how, Vishesh wondered, would he map his work, education, and extra-curricular achievements to a career in business? He had worked on a unique social venture, and been active in Model United Nations (MUN) events, areas he was genuinely passionate about. Would these count in terms of learning and growth? Working with GyanOne, Vishesh refined his ideas, his expressions, and his essays multiple times over, work that remained entirely his own. He discussed possible options with GyanOne, and some of the best discussions took place as he himself structured responses to why he took a particular course of action, or what he wanted from a master’s itself. 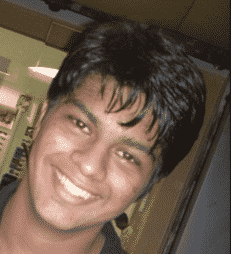 GyanOne provided guidance, insight, and experience to help Vishesh navigate this path. 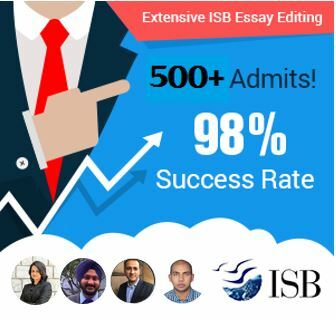 In April 2016, Vishesh received the much-sought-after admit. No wonder, he was delighted, and so were we, because an achievement is sweetest when it is the result of planning, strategy, and hard work. – Begin early. Not only do you need to research programs, but you also need to arrive at the conviction needed for applying to the ones you do choose. This can take time. – Expressing your story, even if it is entirely familiar, takes time and effort too. You need to connect the elements together, and bring out what you wish to say. You might also want to discuss ideas and experiences with others to refine your own thinking. – Remember that recommendations are an important part of the process, and they have external dependency. Your recommenders, while well-meaning, may still not assign top priority in their busy schedules to your recommendation. – Finally, always try to ship your best work. If this means introspection, more introspection, multiple drafts, fishing out details of events and experiences, and getting to know the school, this is what it will take.